Thats all. Game finished - France 4, Iceland 0. Second Half ended - France 4, Iceland 0. Kylian Mbappé - France - won a free kick on the left wing. Antoine Griezmann - France - receive yellow card. Aron Gunnarsson - Iceland - won a free kick in attack. Substitution - France. Moussa Sissoko for Olivier Giroud. Missed chance. Thomas Lemar - France - shot with left foot from outside the box goes high. Offside - France. Paul Pogba with a pass, however Kylian Mbappé is in offside. Substitution - France. Presnel Kimpembe for Layvin Kurzawa. Goal! France 4, Iceland 0. Antoine Griezmann - France - shot with left foot from the right side of the box to the left corner. Assist - Kylian Mbappé. Substitution - Iceland. Ari Freyr Skúlason for Birkir Már Saevarsson. Ragnar Sigurdsson - Iceland - won a free kick in defence. New attacking attempt. Gylfi Sigurdsson - Iceland - shot with right foot from the centre of the box is saved by goalkeeper in the centre of the goal. Assist - Arnór Ingvi Traustason with a cross. Thomas Lemar - France - won a free kick on the left wing. Substitution - France. Thomas Lemar for N'Golo Kanté. Offside - Iceland. Aron Gunnarsson with a pass, however Alfred Finnbogason is in offside. Goal! France 3, Iceland 0. Kylian Mbappé - France - shot with right foot from the centre of the box to the right corner. Assist - Antoine Griezmann. Offside - France. Paul Pogba with a pass, however Layvin Kurzawa is in offside. Offside - France. Antoine Griezmann with a pass, however Olivier Giroud is in offside. Paul Pogba - France - won a free kick in attack. Birkir Már Saevarsson - Iceland - won a free kick in defence. Offside - France. Paul Pogba with a pass, however Benjamin Pavard is in offside. Offside - Iceland. Arnór Ingvi Traustason with a pass, however Alfred Finnbogason is in offside. Goal! France 2, Iceland 0. Olivier Giroud - France - shot with left foot from few metres to the centre of the goal. Assist - Benjamin Pavard with a cross. Missed chance. Olivier Giroud - France - shot with left foot from the right side of the six yard box is very close to the goal. Assist - Paul Pogba. Missed chance. Blaise Matuidi - France - shot with left foot from outside the box is high and wide to the left. Assist - Paul Pogba. Substitution - Iceland. Alfred Finnbogason for Johann Gudmundsson. Missed chance. Antoine Griezmann - France - shot with left foot from outside the box goes high. Missed chance. Benjamin Pavard - France - shot with right foot from outside the box is close, but missed to the left after corner. Substitution - Iceland. Arnór Ingvi Traustason for Runar Mar Sigurjonsson - injury. Delay in match Runar Mar Sigurjonsson - Iceland - - injury. Corner - France. Conceded by Sverrir Ingason. Aron Gunnarsson - Iceland - won a free kick in defence. Gylfi Sigurdsson - Iceland - won a free kick in defence. Birkir Bjarnason - Iceland - receive yellow card for a foul. Olivier Giroud - France - won a free kick in attack. New attacking attempt. Birkir Bjarnason - Iceland - shot with left foot from outside the box is saved in the left corner. Assist - Aron Gunnarsson. Second Half starts France 1, Iceland 0. First Half ended - France 1, Iceland 0. Missed chance. Blaise Matuidi - France - shot with the head from the centre of the box is close, but missed to the left. Assist - Layvin Kurzawa after corner. Corner - France. Conceded by Kári Árnason. Missed chance. Benjamin Pavard - France - shot with right foot from outside the box is very close to the goal after corner. Corner - France. Conceded by Birkir Már Saevarsson. Corner - France. Conceded by Ragnar Sigurdsson. Birkir Bjarnason - Iceland - won a free kick on the left wing. Missed chance. Kylian Mbappé - France - shot with right foot from outside the box is close, but missed to the left. Assist - Layvin Kurzawa. Birkir Bjarnason - Iceland - won a free kick in defence. Offside - France. Benjamin Pavard with a pass, however Olivier Giroud is in offside. Offside - Iceland. Aron Gunnarsson with a pass, however Birkir Már Saevarsson is in offside. Offside - Iceland. Sverrir Ingason with a pass, however Gylfi Sigurdsson is in offside. Missed chance. Kylian Mbappé - France - shot with right foot from the right side of the box is close, but missed to the left. Assist - Paul Pogba. Kylian Mbappé - France - won a free kick in defence. Offside - France. Raphael Varane with a pass, however Olivier Giroud is in offside. New attacking attempt. Gylfi Sigurdsson - Iceland - shot with left foot from outside the box is saved in the top right corner. Assist - Kári Árnason with a head. Johann Gudmundsson - Iceland - won a free kick in defence. Corner - France. Conceded by Hannes Thór Halldórsson. New attacking attempt. Olivier Giroud - France - shot with the head from the centre of the box is saved in the top centre of the goal. Assist - Benjamin Pavard with a cross. New attacking attempt. Ragnar Sigurdsson - Iceland - shot with the head from the centre of the box is saved in the top left corner. Assist - Kári Árnason with a head. Missed chance. Olivier Giroud - France - shot with the head from the centre of the box goes high after corner. Goal! France 1, Iceland 0. Samuel Umtiti - France - shot with the head from the centre of the box to the right corner. Assist - Kylian Mbappé with a cross after corner. 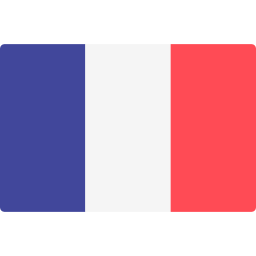 Get real-time football commentaries and full coverage for the Euro Qualification match France vs. Iceland, powered by Scorenga.co.uk. This page is dedicated to one of the most exciting Euro Qualification clashes. Here you will find a summary of the game, standings and photos.